You will Watch One Piece Episode 484 English Dubbed online for free episodes with HQ / high quality. Stream anime One Piece Season 14 Episode 26 The Navy Headquarters Falls! Whitebeard’s Unspeakable Wrath! 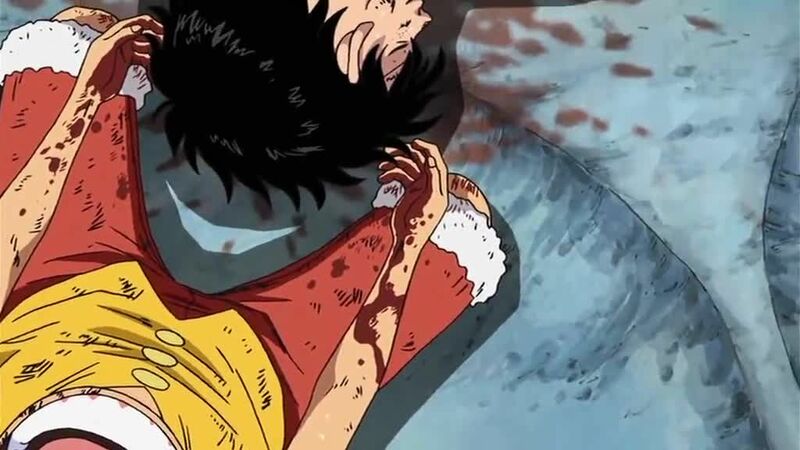 After witnessing the death of Ace at the hands of Akainu, Luffy becomes incapacitated. Akainu attempts to kill Luffy, but the Whitebeard Pirates fight him to protect Luffy, and Jimbei flees with him. Enraged at the death of Ace, Whitebeard attacks Akainu and creates a massive earthquake that severely damages Marine Headquarters and leaves him isolated from his men. The Blackbeard Pirates, having acquired several notorious criminals from the lowest level of Impel Down, then make their appearance, with Blackbeard having come to witness Whitebeard’s death.